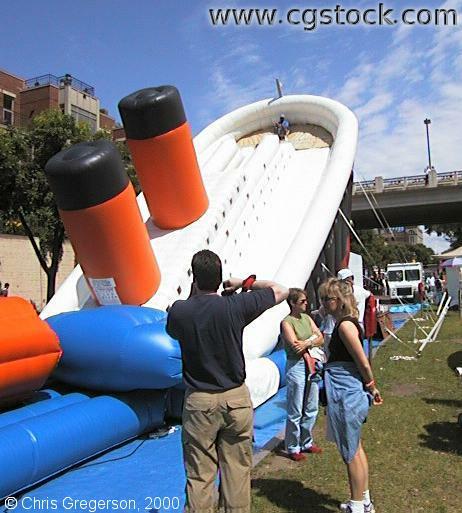 This is a large, inflated ride for kids at the Stone Arch Festival of the Arts. It's set up on Main Street. The Central Avenue bridge is visible in the background.